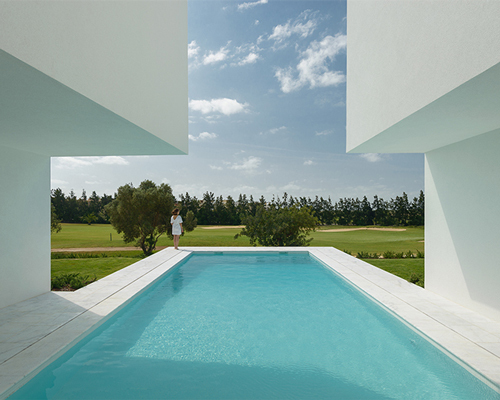 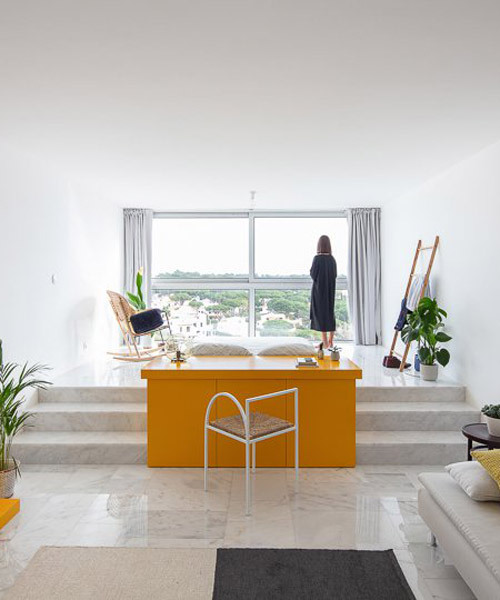 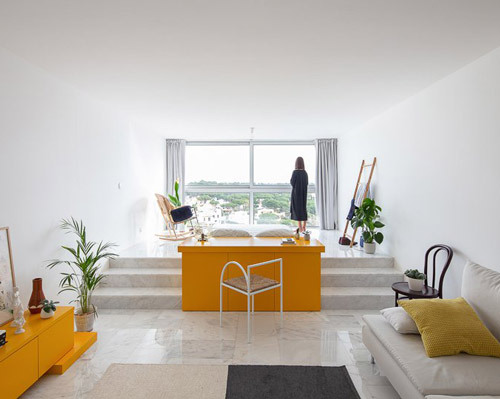 corpo atelier's 'between two white walls' overlooks a luscious green golf course in vilamoura, portugal. 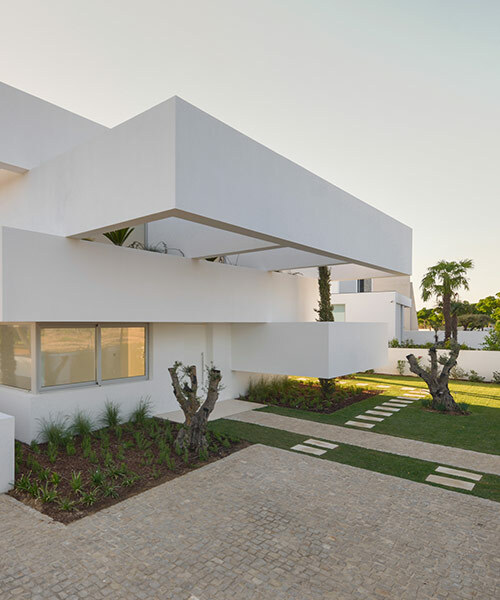 located on a golf course, corpo atelier forms a single family home from stark white stacked terraces and a garden, simultaneously providing views and privacy. 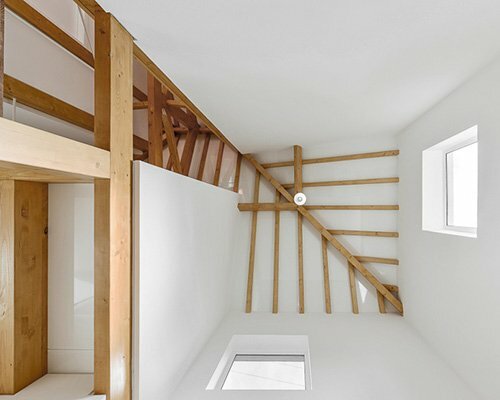 the volumetric potential and architectural details are highlighted by an expansive use of timber.